The new Softline Granite Garage Door has arrived! NASSAU Door A/S presents the new Softline Granite Garage door with a new and exclusive design. Softline Granit has been replaced with the old garage gate model Softline. NASSAU Softline Granite Garage Door is made of aluminum and comes with an exterior granite surface with horizontal profiling. The new Granite surface is smooth and has a “sandblasted”/granite look. The new surface is our take for an exclusive appearance and a beautiful finish. NASSAU Softline Granite is made in Black Granite, Gray Granite and White Granite. These three Softline Granite colors are matched to the well-known sable colors. 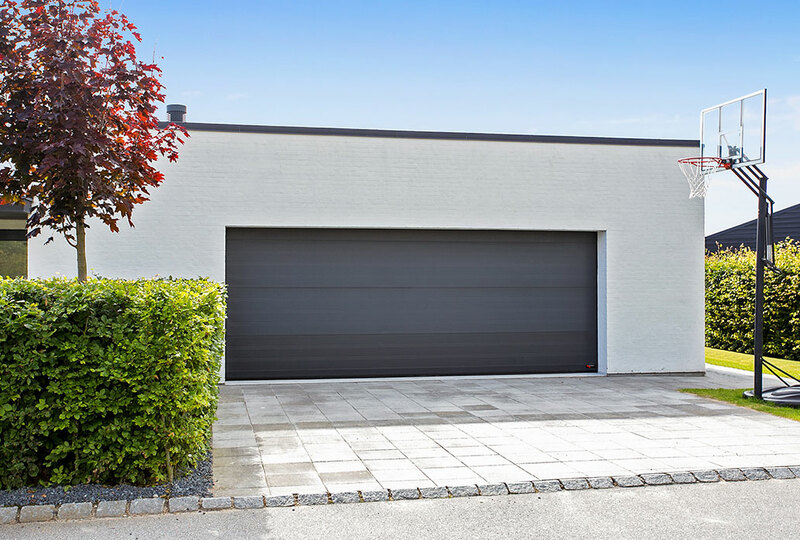 Do you want your garage door to match the rest of the house? Now your Garage door can match your windows, doors, roof and facade with the use of the new Softline Granite Garage Door. This way, your house will appear in the best possible way, and your house will always appear as a beautiful unit.